Tradition and Quality since 1975. | Atlas Exportaciones e Importaciones S.A.
Atlas Exportaciones e Importaciones S.A., was constituted on February 24, 1975 by Mr. Rolf Ivens Hartog and his wife, Mrs. Ilse Dunker Jenssen-Jess, as marketing and Export Company, mainly legumes, medicinal herbs and other dehydrated products of the agriculture area. At present, their daughter Christiane Ivens Dunker is also partner and part of the corporation. Our Central Office is located in Viña del Mar and has 5.000 mt² of area, where commercial and logistic activities are performed. 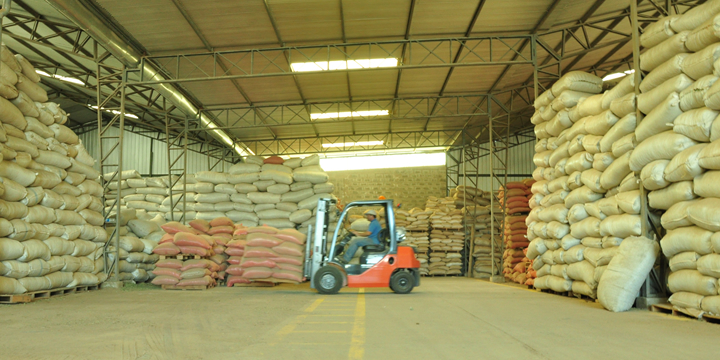 This premises counts with different technologies and machinery to organize the process of our products. At present we have a new plant, located in Casablanca, which has 10.000 mt² of area and is mainly use for the process and storage of our products. We are a company committed with the needs and requirements of our clients, providing products of high quality, on personalized and direct basis. Our long professional background inspires transparency and reliability in our clients all around the world, who rely on us and regularly order our products and services. Our vision is to become the leading company in the exportation of non – conventional dehydrated products in the world, covering most of the international market. Also achieve a clear commitment with the society, contributing in parallel with the development and training of all our personnel.